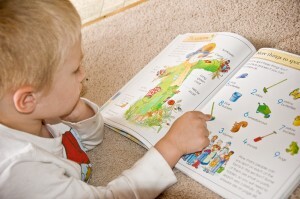 Home » Children's Books » Usborne Big Book of Things to Spot from Timberdoodle Co.! 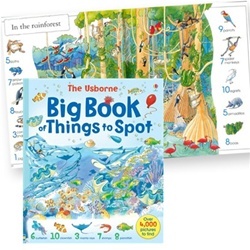 Usborne Big Book of Things to Spot from Timberdoodle Co.! I’m the type of parent that LOVES turning any and every opportunity into a learning experience. I am constantly on the lookout for products, companies, toys, and books that make providing educational experiences for my children just a little bit easier. 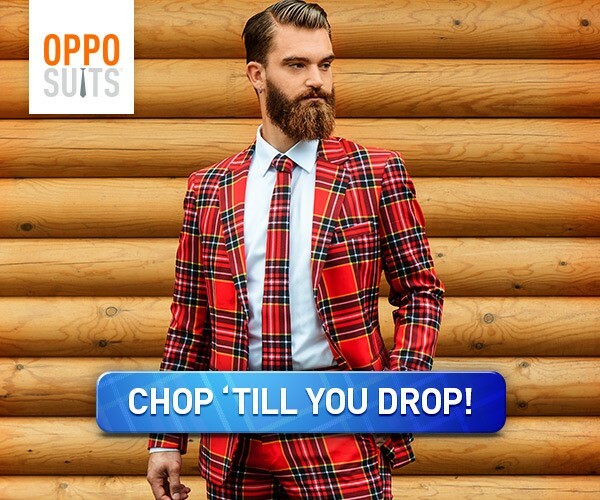 There is SO much on the market these days, that it is often hard to know where to even start…Look no further my friends. Whether you are a homeschooling mama, or simply a parent who wants to enrich your playtime with your children, Timberdoodle Co. has got you covered! 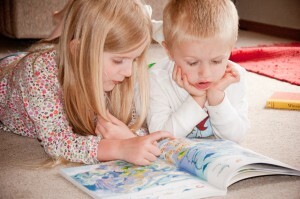 Timberdoodle Co. has been assisting homeschooling families since 1985! Not only does Timberdoodle Co offer a WIDE variety of books, games, puzzles, and curriculum for just about any subject and grade level you could think of, they also offer complete curriculum packets!! Especially if you are a homeschooling rookie, their curriculum kits are just the ticket to get your feet wet and help you make sure you’re covering the basics (and then some!) 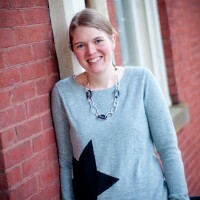 Whether you are the parent of a teenager, or the parent of an 18 month old, Timberdoodle Co. is there to help you! They believe (as I do) that learning can (and should) start early, and that it can be fun and natural….Timberdoodle Co believes in offering the best toys and products to you, and packages them together to give you easy to use fun products, and also includes some tools to help you plan and track your learning! If you are the parent of a toddler, as I am, you should check out their Toddler Core Curriculum Package! Timberdoodle Co. graciously provided my children and I a copy of the Usborne Big Book of Things to Spot. You can purchase a copy of this SUPER FUN book HERE for just $10.50!! This adorable and sure to please spot and find book is part of Timberdoodle Co.’s Toddler Core Curriculum Package. This book is jam-packed with different things to find! (over 4000!) Not only is this book a tremendous value, as you receive over 100 pages of spot and see fun, but this book from Usborne includes FOUR titles! Included in the book are 1001 Animals to Spot, 1001 Things to Spot on the Farm, 1001 Things to Spot in the Town, and 1001 Things to Spot Long Ago. 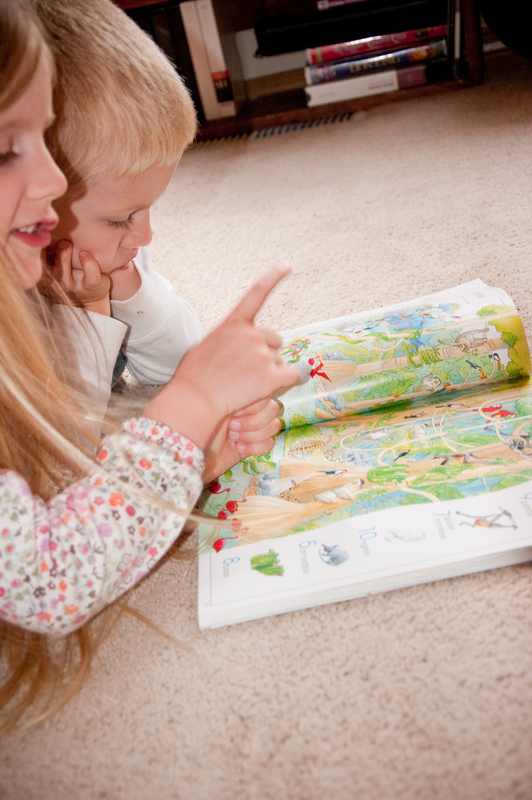 As a former teacher, I have seen many “search and find” books….The Usborne Big Book of Things to Spot is BY FAR the most comprehensive and child-friendly approach to vocabulary introduction and language enrichment on the market. Your child will LOVE hunting for the pictures on each page! 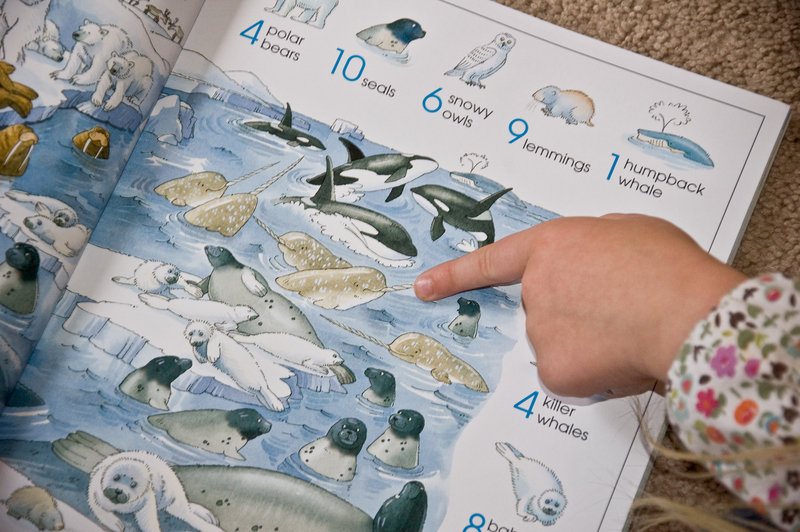 As they search, you’ll have the opportunity to point out and discuss animals, shapes, colors, new words, new lands….SO many opportunities for learning! I love how this book serves as a simple and natural jumping off point for enriching and interesting discussion with your child. As they search the page looking for arctic animals, you can discuss habitat…or the species of animals that live there…why they live there…As you search the market of ancient Mesopotamia, you can discuss history, geography, cultures, and compare and contrast modern times with ancient times…Step inside a hen house and discover eggs hatching…Ride along on a wagon train…Gather your harvest at the fruit farm…You and your children will go on ENDLESS journeys with this book from Usborne and Timberdoodle Co! An up close encounter with a scarecrow! We talked about counting, harvest, gardens, planting, and the purpose of scarecrows! So much learning and interactive discussion all while my young son was having a blast searching for hidden items! You will also enjoy that this book introduces concepts like a Table of Contents, and will appreciate the handy answer pages, as well as the guided questions to get you thinking! I KNOW you and your children will want to check out this book, and the complete Toddler Core Curriculum package from Timberdoodle Co.! Make sure to head on over to the Timberdoodle Co. Facebook page and “like” them to stay informed of their latest product offerings, coupon codes, and specials! To get a FREE homeschooling product catalog from Timberdoodle Co. just click HERE, and one will be shipped to you! They have a TON of great stuff to check out, no matter how old your children are, or how experienced a homeschooling family you are! Have fun searching and discovering with YOUR young learners! Thank you again to Timberdoodle Co. for sponsoring this review! !